An ordinary citizen defies the government to release sensitive data over the Internet, to spread information he or she feels should not be kept secret. It’s something that is happening more and more frequently, and is even being recognized by top journalism awards and Amnesty International. When you hear of such a story, your imagination may lead you directly to thinking of a country full of political unrest such as Iran, or even somewhere like Kenya with its military police responsible for more than 500 extrajudicial assassinations and disappearances. One of the more recent instances in the spotlight, however, involves the United States military and a 22-year-old U.S. Army private named Bradley Manning. Manning is the person who allegedly provided whistleblower website WikiLeaks with video of a 2007 helicopter attack on Baghdad, Iraq, by the U.S. troops, which has lead to the death of at least a dozen civilians including two Reuters news agency employees. Manning was arrested in May, and, as of July 5, he faces two charges regarding transfer and handling of classified information under the Uniform Code of Military Justice. In addition to the “Collateral Murder” video, Manning also allegedly downloaded more than 150,000 highly classified diplomatic cables. If convicted, Manning could face up to 52 years in prison. In the meantime, WikiLeaks founder Julian Assange has fled the U.S. and is in hiding, fearing prosecution. 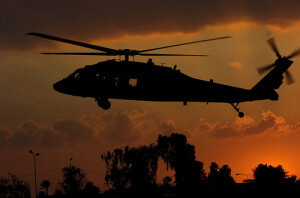 Photo by U.S. Army, used under its Creative Commons license.